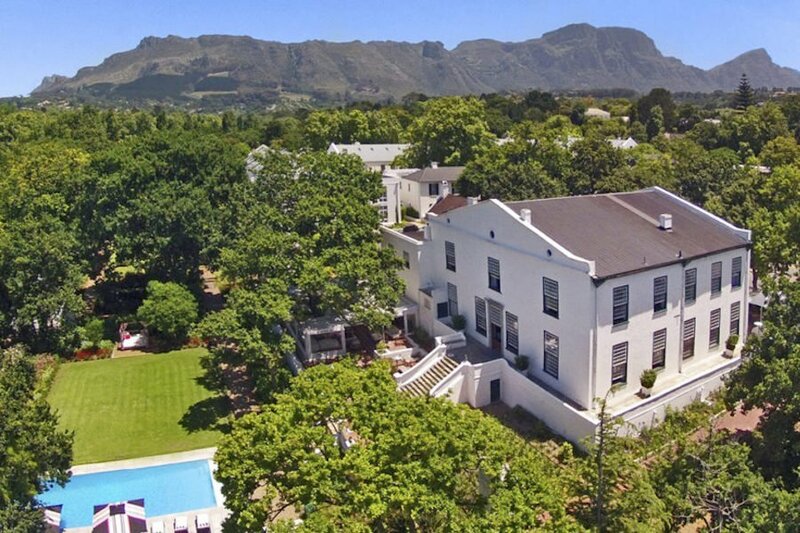 The Alphen Boutique Hotel is a 5 star luxury hotel based in Constantia, Cape Town. A magnificent spread of elegant riches, swathed in history and splashed with flair and colour. This 17th century historical treasure is spread across 11.5 acres of wonderland gardens and offers modern amenities, plush comforts, high-tech facilities & exceptional services. Boasting 3 unique hospitality venues: la Belle Bistro & Bakery, The Incognito Bar and Blanko Restaurant offers guests a full flavoured and authentic Western Cape culinary journey. 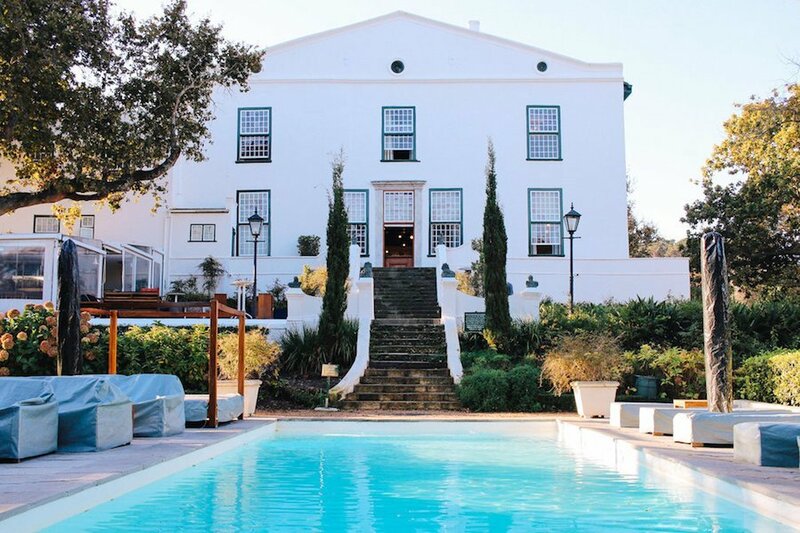 The Alphen party venue offers a 5 star party service in a stunning location. The private lawn area area where the parties are hosted, is complimented by a modern lounge seating area with umbrellas and a cake table. 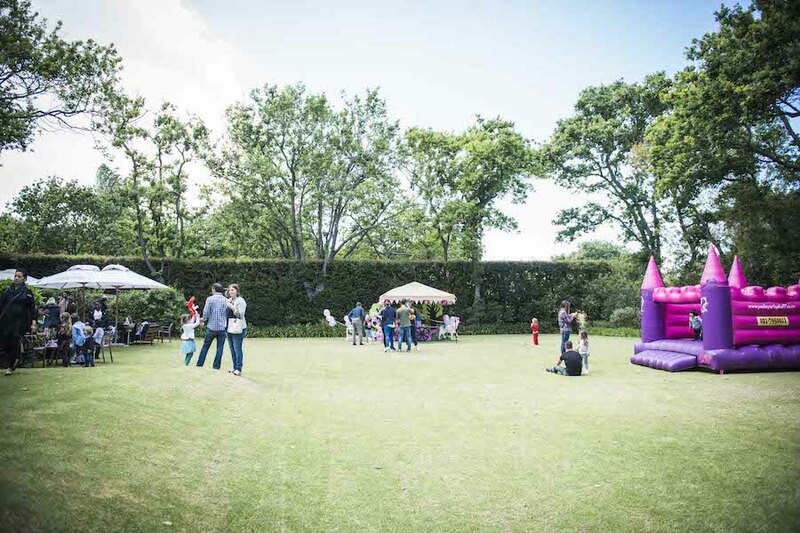 The large lawn area provides the perfect location for the little ones to enjoy an active party while the parents relax and enjoy the beautiful surroundings. Looking for entertainment at your venue? Check out our recommended entertainment package for the Alphen Hotel. 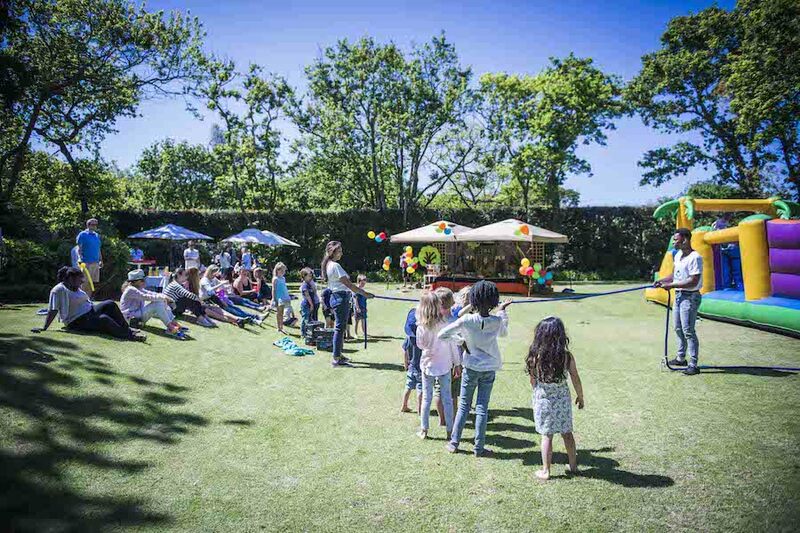 Our Alphen Venue party package offers a complete entertainment service, that keeps the kids busy so the parents can relax and enjoy the beautiful surroundings. It includes; our signature face-painting, rocking balloon art and a variety of active party games. On the big day our entertainers will arrive 15 minutes prior to your party start time to set up their stations and also discuss the running of the party with the host to ensure it goes smoothly. When the party starts our staff are there to greet the children and start the fun off with face-painting and balloon sculpting for the first hour followed by 30 minutes of active party games. Our party games are varied depending on the age of the kids but generally include; tug of war, sack races, an egg and spoon race, musical statues and pass the parcel. Our entertainers are skilled at ensuring all the kids participate and have fun. Once the games are concluded our staff help to round up the kids so they can sing Happy Birthday for the Birthday child. Our easy booking system makes planning your next birthday bash a breeze. Simply follow the 3 steps below and relax you have just booked the best party ever! Fill in your party information using the form below, remember to check your party date and time carefully to avoid mistakes. One of our party planners will email you to confirm details and provide you with an invoice. Pay the 50% deposit and send proof of payment to reserve your party time and date. In the week leading up to your event, our party planners will email you a reminder and confirmation of your booking. *T's & C's: All deposits and payments for party bookings are non-refundable, Bazinga Parties reserves the right to deny requests to reschedule bookings in the week prior to the confirmed date.